Sewing Kit Contains: 2 Buttons, 1 Needle, 4 Colors Of Thread & A Safety Pen. 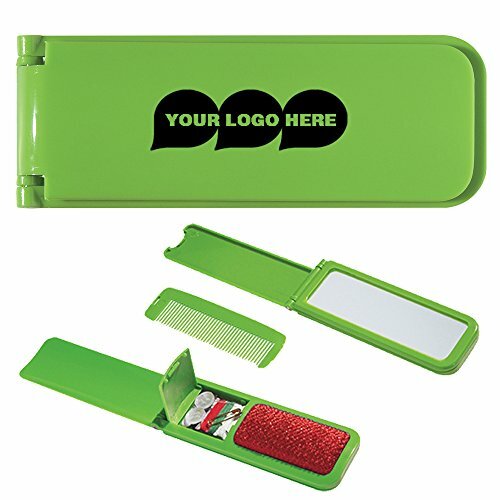 Product Dimensions: 4-1/4" W x 1-1/2" H.
Imprint Area: 2" W x 5⁄8" H.
Lint Brush, Shoe Horn, Mirror & Comb. If you have any questions about this product by CloseoutPromo, contact us by completing and submitting the form below. If you are looking for a specif part number, please include it with your message.